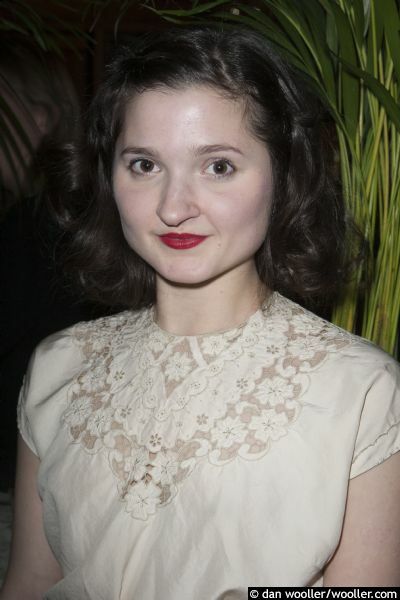 Ruby Bentall captured our hearts as the overlooked and put upon Verity in Poldark, indeed the phrase 'poor Verity' was trending in the UK during the second episode's airing. Ruby was born in London in 1988 to actor parents, Janine Duvitski and Paul Bentall. 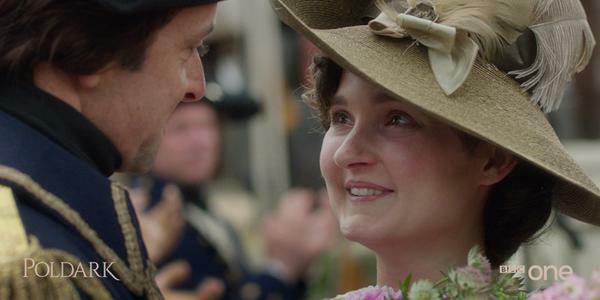 She has been acting since 2006, most notably in Lark Rise to Candleford and as Mary Bennet in Lost in Austen. Ruby has performed in theatre as well as on screen, taking the title role in Alice in Wonderland at The Sheffield Crucible in 2010 as well as several appearances in the West End. Ruby kindly agreed to answer some questions for us before flying off to Poland and Prague for filming on new projects. 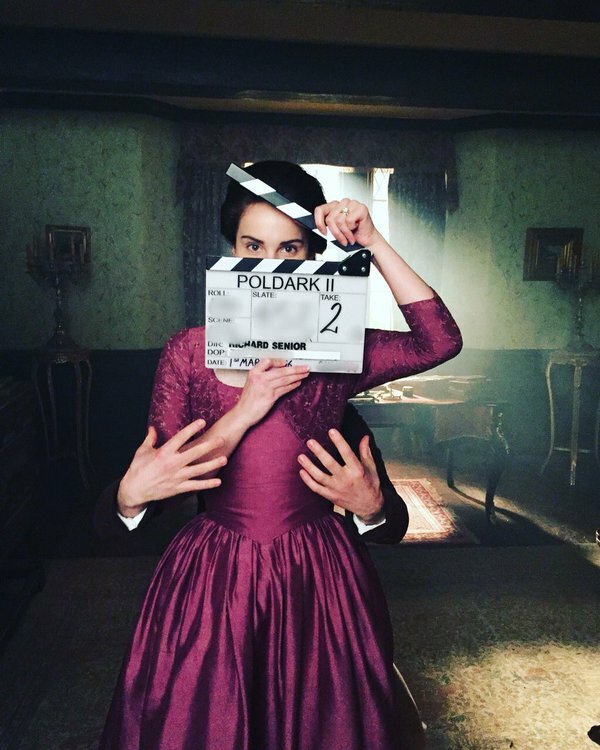 Poldarked: What attracted you to the role of Verity and what do you think has made Poldark such a success? Ruby Bentall: I think Poldark is a success because people like good old fashioned relationship dramas. 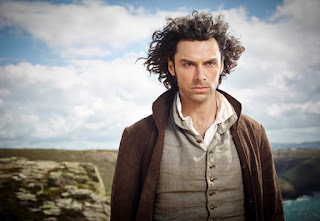 Poldark has it all, love, hate, family problems, class divides. P: Blamey's chat up lines about shipping gave the audience quite a giggle, did you find the scene funny to film and did you ever find out what a spanker boom was? RB: Every scene you do with Richard is a laugh. He is a naughty funny person, very Welsh. That ball scene was the only scene I had to try and show Verity falling in love. So I just tried to make it as sweet and romantic as possible. I never properly found out what a spanker boom is! P: Do you think Blamey was really a good match for Verity (especially given his background) or did she just jump at her first and possibly only chance of marriage? RB: I'm not sure, I think if you don't have much attention, it is very easy to fall for anybody who is nice to you. So in some ways I think anyone who came along she would have fallen for. But I do think Blamey was right for her, she is good at helping people and is use to looking after people. I maybe would have liked her to be with someone who didn't need her, but just wanted her. P: Verity becomes quite rebellious in series 1, do you think this is a natural part of her character, like Ross, or something forced on her by circumstance? RB: Verity is a strong person but I don't think rebellious. She would have preferred to not go against her family. She didn't enjoy hurting her family to get what she wanted. But I love that she is a romantic who will follow her heart even if she has to be selfish. P: Verity appears throughout the books. How do you feel about playing a character that ages like that through a series and what challenges does that present to you as an actor? RB: It's a bit of a worry, the ageing thing. I have a youthful face. I think some of my costumes for the second series make me look a bit older, I have tried to slow my natural speech speed down. Not sure how different we can look, I don't think we should start trying to age ourselves up with make up it would look stupid. Looking glam, a far cry from Verity. P: Mark Atkinson of Atkinson Action Horses tells us you're a very good rider, but did the riding pose any challenges for you? RB: I rode all through my childhood, but side saddle is completely different. I'm naturally easy around horses so that is to my advantage, but with side saddle the balance is totally different so I didn't feel very good at it. P: You’ve done a lot of period work, but which genre would you love to do if you had the choice of anything? RB: I don't have a particular genre in mind. I just want to play three-dimensional people and interesting characters. P: What’s the best and worst thing about being an actor? RB:The worst thing about being an actor is the heartache. All you want to do is work. But you spend most of the time being rejected and feeling sad about being unemployed. The best thing is when you are doing a well written scene with another actor and for a moment you can forget all the stressful filming things around you, and just act. It's usually only for a few minutes but it can be wonderful. P: You were involved in the Body Positive Campaign, how did that come about and why did you feel it was important to be involved? RB: The Body Positive Campaign came about as they were looking for people in the public eye who were not conventionally attractive. I thought it was a good cause so was happy to do it. It's an important message they are trying to get across, it's a sad thing that so many of us are made to feel less as people because of the way society tells us we should look. 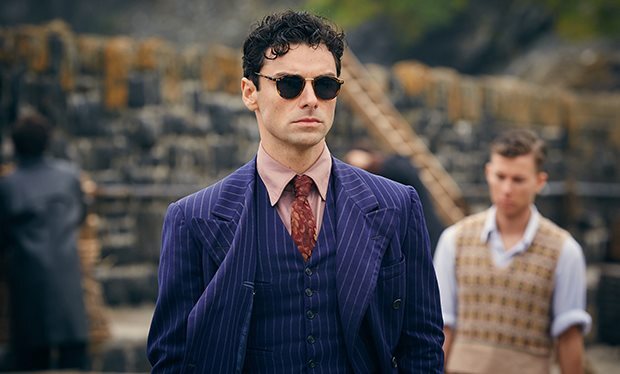 P: We’ve seen you in Jekyll and Hyde recently as well as Poldark, but what’s up next for you? RB: I'm going to Poland to do a few days on a film called Bikini Blue and then Prague for a week to do a bit on a film called Interlude in Prague. Please remember to credit Poldarked when sharing this interview. Well done, Poldark! 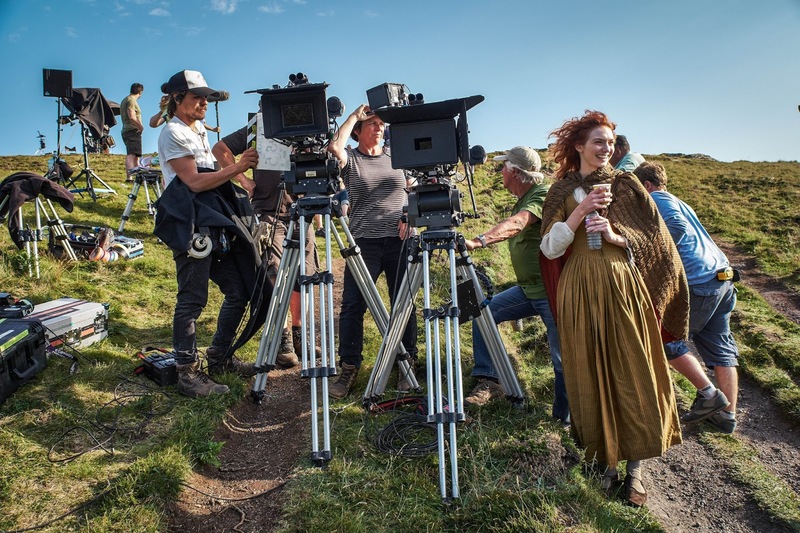 The drama has received two nominations for the British Academy Television Craft Awards 2016 which honour, '...the very best behind-the-scenes talent working in television.' The nominations are Marianne Agertoft for best costume design and Anne Dudley for best original music score. Good luck to Marianne and Anne! It's been a great week for Aidan Turner. 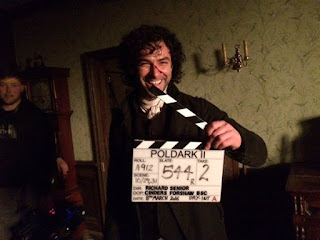 After wrapping on Poldark series 2 last week he has not only won the Breakthrough Award at the Broadcast Press Guild (BPG) Awards, he's also been nominated for an Irish Film and Television Academy Award (IFTA) for Best Lead Actor in Drama for Poldark and had rave reviews for his performance in And Then There Were None on the other side of the Atlantic as it screened in the USA. Aidan went on to impress in The Hobbit movies. 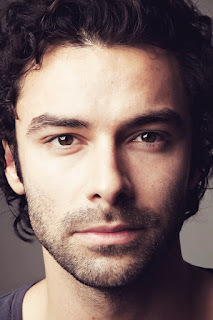 His character, Kili, had quite a bit of screen time compared to some other dwarves, so Peter Jackson was obviously impressed and Aidan won an Empire award for Best Newcomer in 2014 for his role in the second movie, The Hobbit:The Desolation of Smaug. 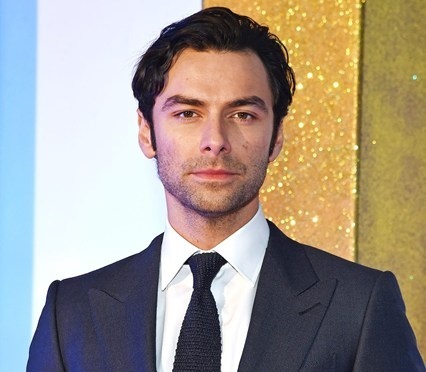 Of course, he also won an Impact award at the National Television Awards for his role in Poldark back in January as well. The NTAs are voted for by the public, again highlighting his popularity with audiences. The BPG awards are voted for by television journalists, so a tough group to please. The award was for 'gaining a new level of success in 2015', which he most certainly did. Not only did Aidan win the Breakthrough award, he was also nominated for Best Actor, which in itself is an achievement, especially alongside the likes of Oscar winner, Mark Rylance and Jason Watkins, who won a BAFTA for the role he was nominated for. The IFTAs are Ireland's leading film and television awards, Ireland's equivalent of the British BATFAs, so it's a coup to get a nomination, especially in a country that produces a plethora of great actors. 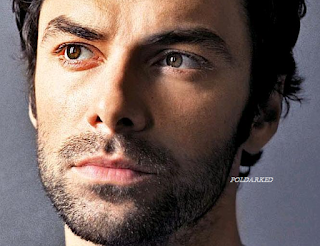 Aidan hasn't been nominated for an IFTA before, which underlines the impact his role in Poldark has had on his career. declaring: 'Turner does the best work of his career as an Irishman whose cynicism hides a fierce, rational intelligence, and his chemistry with Dermody leaps off the screen.' No mean feat to stand out in a cast as luminous as this one. We're delighted to see Aidan getting the recognition he deserves as an actor and it's a joy to watch him develop in each role. We wish him all the best at the IFTAs and hope it leads to more great roles the small screen, big screen and on stage. 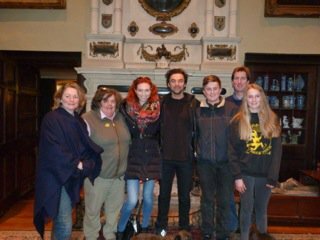 Poldark series 2 filming wrapped on 8 March after filming since September 2015. It seems a long time since we excitedly devoured all those photos from location filming on the Cornish coast. But, apart from a short Christmas break, it's been non-stop for the Poldark cast and crew, with filming on location in Cornwall, Wiltshire, Somerset and Gloucestershire as well as at Bottle Yard Studios in Bristol, where the majority of the filming is done. 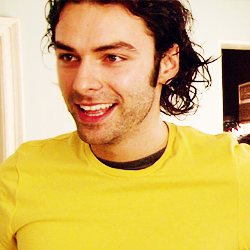 BBC One posted the short clip of Aidan, below, on Twitter to mark the end of filming. 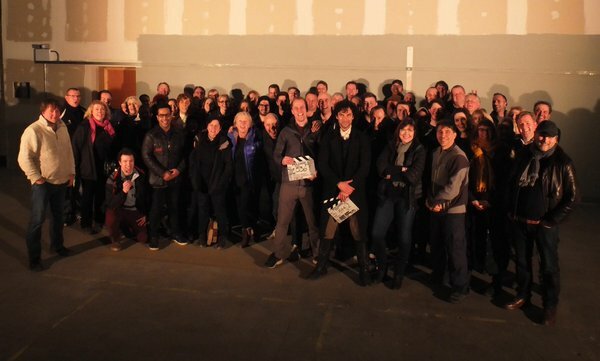 Series 2 will be ten episodes long, has three directors and new characters aplenty, as well as our favourites returning. Over the past couple of weeks we've had word via Twitter from a number of actors who were filming their last scenes, but Aidan Turner was there until the end, appearing in the final day's wrap photo. Series 2 will air in September on BBC One in the UK and we can't wait. Aidan Turner has won the Broadcasting Press Guild Breakthrough Award! The Breakthrough Award is for attaining a new level of success in 2015. 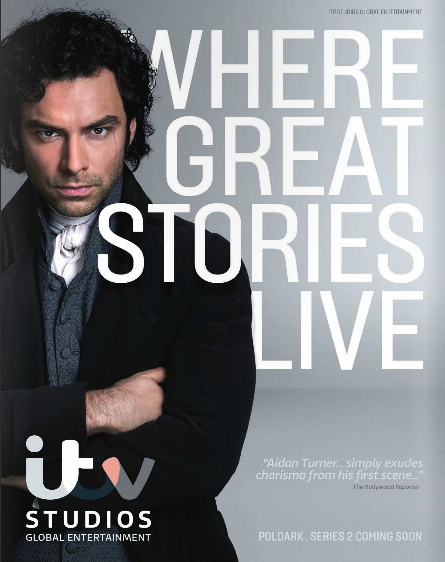 This is most certainly true of Aidan who has seen his popularity rocket since Poldark aired a year ago and whose performance in Agatha Christie's And Then There Were None met with critical acclaim. Fellow Poldark co-star Heida Reed collected the award on Aidan's behalf at the Broadcasting Press Guild Award Ceremony at Drury Lane Theatre on 11 March, 2016. Aidan beat fellow contenders Gemma Chan Humans, Michaela Coel Chewing Gum and Sian Gibson Car Share: a full list of winners is available here. 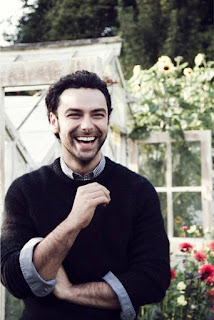 Those of us who have followed Aidan's career for years know only too well of the endless months with no word of him, whereas this last year has been positively bountiful in comparison, with Aidan working virtually non-stop on a variety of interesting projects including films like Look Away, The Secret Scripture and Loving Vincent, as well as filming And Then There Were None and the second series of Poldark for TV. We hope the increased interest in Aidan brings him many new opportunities in the coming years in film, TV and in the theatre too and wish him our sincerest congratulations. 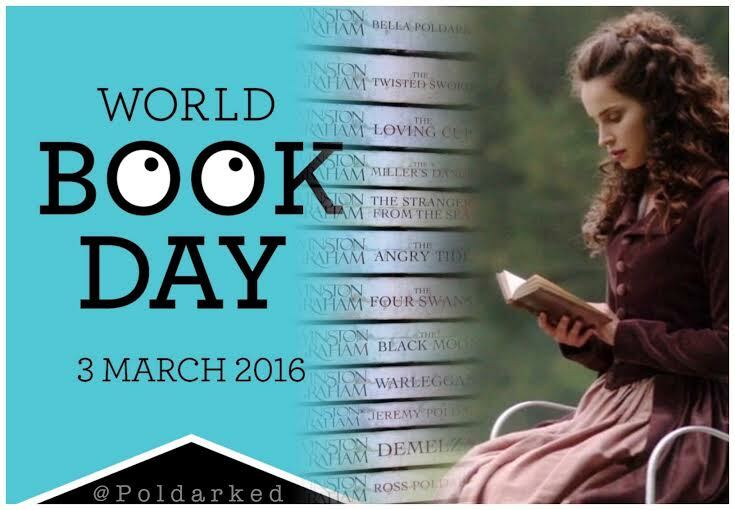 Today is World Book Day in the UK and Ireland, so we're celebrating by taking a look at the Poldark novels by Winston Graham. 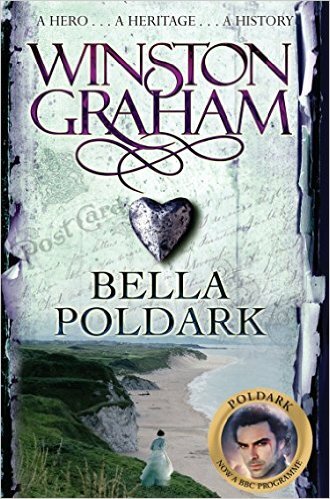 There are twelve books in the series in total, the first, Ross Poldark, was published in 1945 and the last, Bella Poldark, was published in 2002. 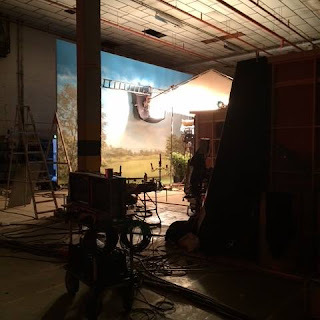 They have of course been famously adapted for television, first in the 1970s, when it went on to become one of the biggest shows of the day, and again to huge success in 2015. Winston Graham wrote the first four novels in the late 1940s and early 1950s: Ross Poldark, Demelza, Jeremy Poldark and Warleggan, cover the first period of time in the novels and tell the story of Ross and Demelza. 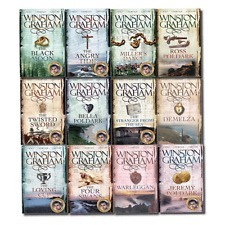 Winston Graham came back to the series in the 1970s, publishing a further three novels: The Black Moon, The Four Swans and The Angry Tide. He then took another break before returning to the series in the 1980s, after the success of the first BBC adaptation. 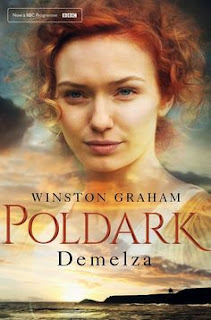 The books written in the 1980s are set later in time and whilst still featuring Ross and Demelza, also feature a host of characters from the next generation. The Stranger From the Sea was published in 1981, followed by The Miller's Dance, The Loving Cup,and The Twisted Sword in 1990 and finally, Bella Poldark in 2002. There was a TV adaptation the The Stranger From the Sea in the 1980s, which was poorly received, but the rest of the later novels have never been adapted, so if the present television series continues for the planned five series it will be the first time they have been adapted. 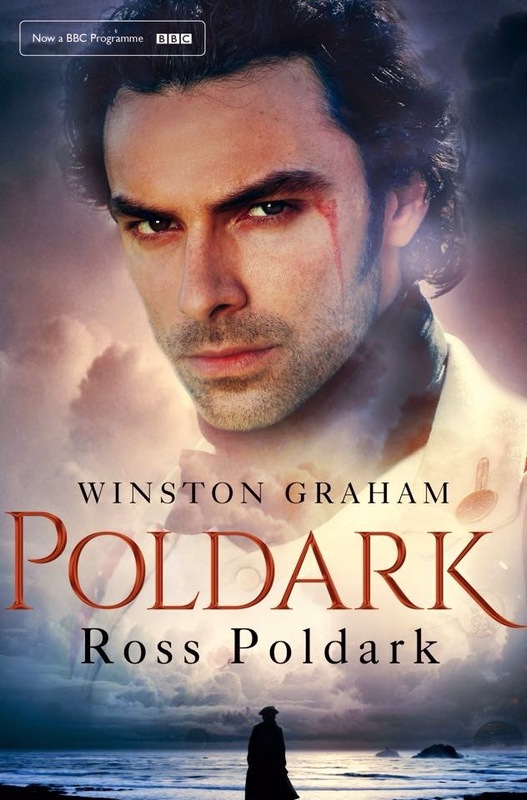 The first series of the BBC's 2015 adaptation of Poldark covers the first two novels, Ross Poldark and Demelza. 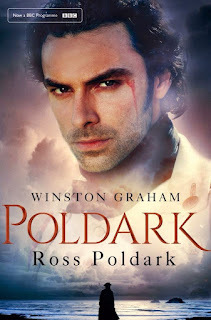 Series 2, due to air this autumn, will cover the novels Jeremy Poldark and Warleggan. 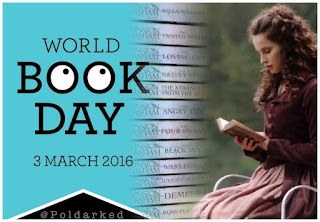 Of course many fans have read these books so, in celebration of World Book Day, tell us your favourite Poldark book. Comment below or let us know on Twitter or Facebook.